Jane Lucretia, Countess of Eglington and Winton (d. 1923), née Cunninghame. Sitter: Jane Lucretia, Countess of Eglington and Winton (d. 1923), n�e Cunninghame. Biog: D.B.E. 1920; m. (1873) 15th Earl of Eglington and Winton. Costume Supplier: Goddard and Southey, 14 Harrington Road, South Kensington. Biog: Burke's Peerage; The Complete Peerage; A Winton Thorpe ed., Handbook to the Most Excellent Order of the British Empire 1921, London, 1988; The Times, 8 October 1923, p.14c. 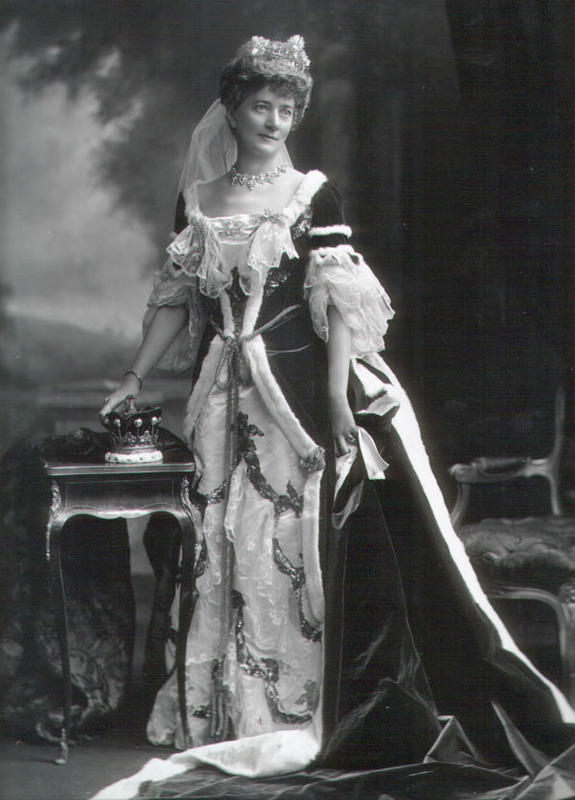 Costume: The Court Journal, 16 August 1902, p. 14b; Madame, 16 August 1902, p. 328.